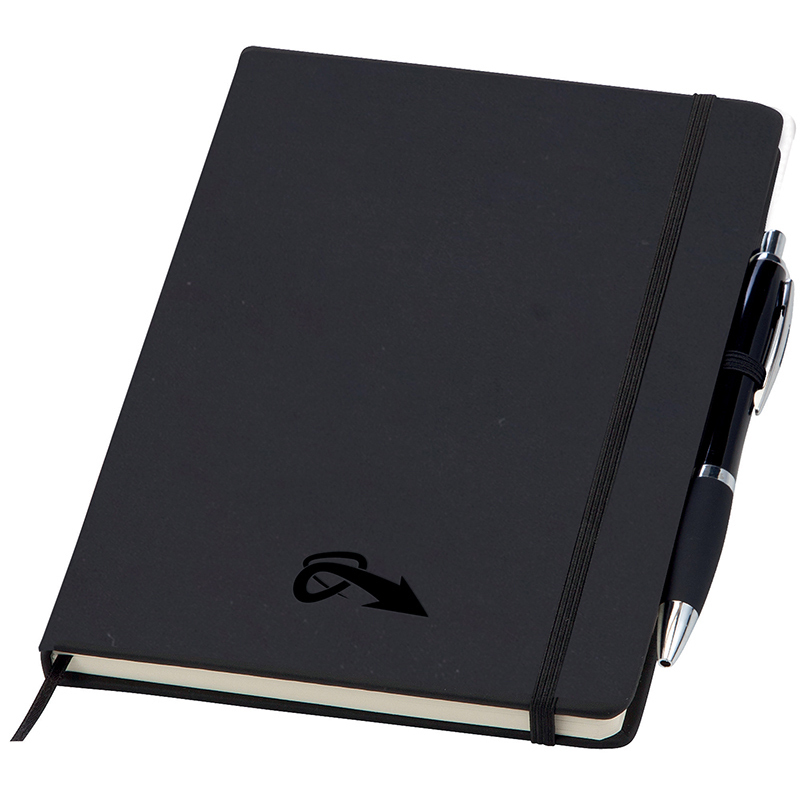 The Noir Notebook is a proven bestseller for corporate gifts. 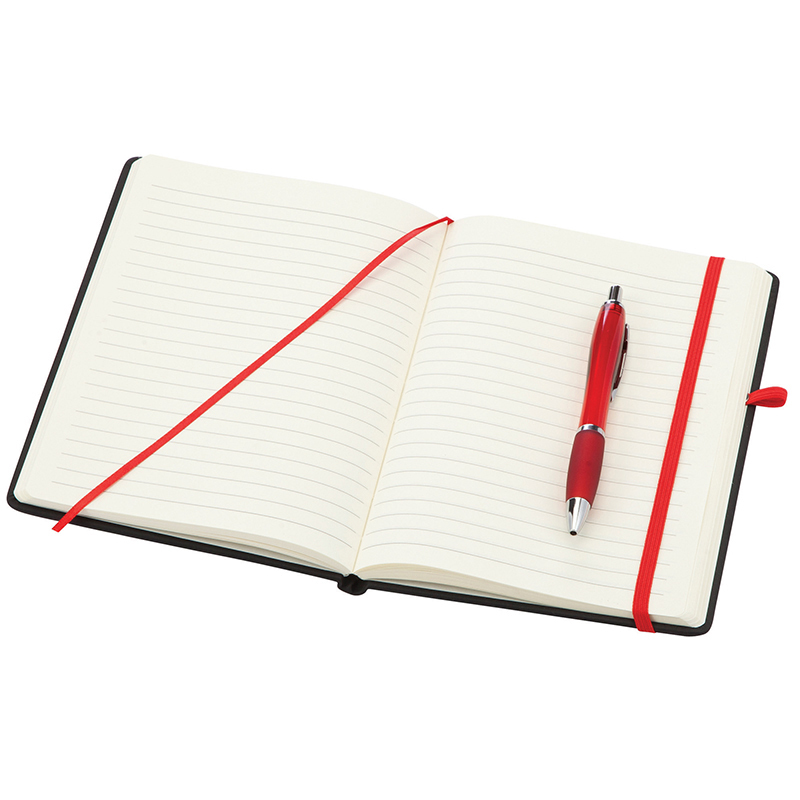 It has a soft-feel black PU cover for a creating a tactile finish to the notebook. 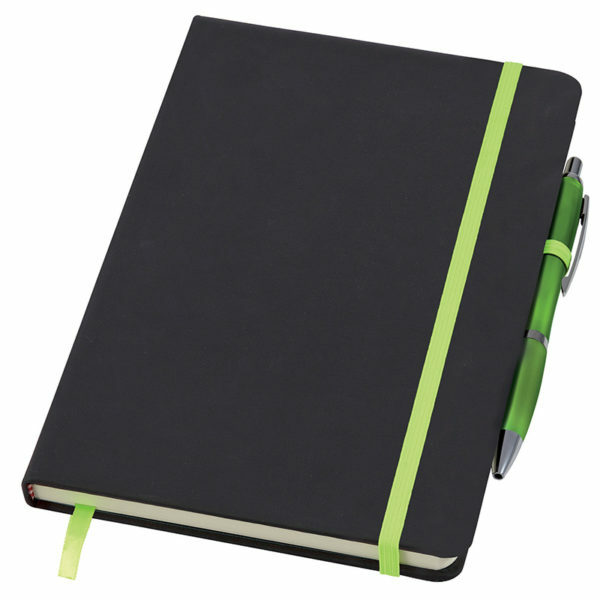 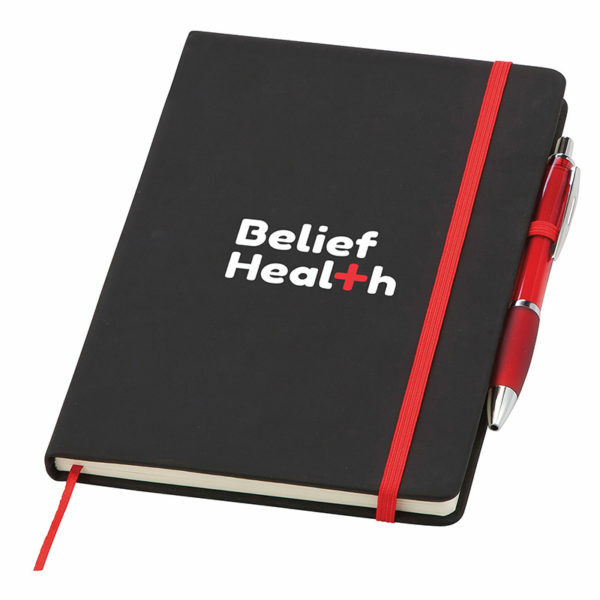 Each notebook has a coloured closure strap and ribbon page marker. 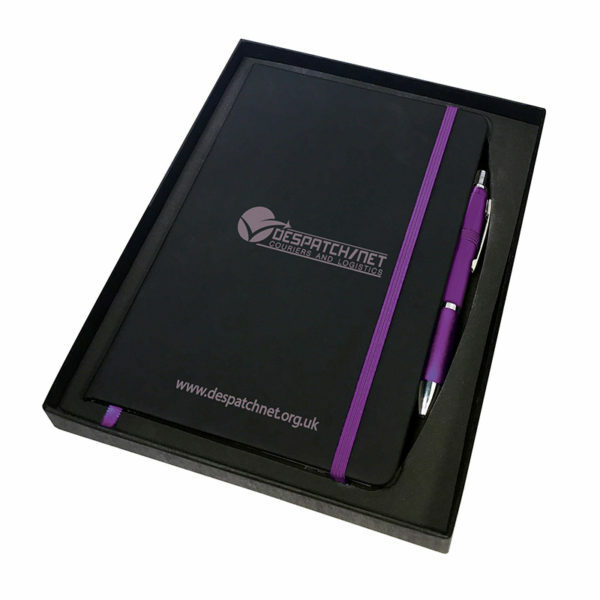 Available in three sizes the books offer fantastic branding oppportunities both for print or stylish debossing. 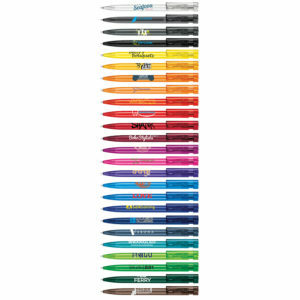 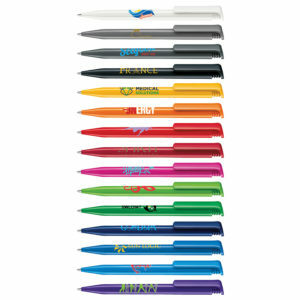 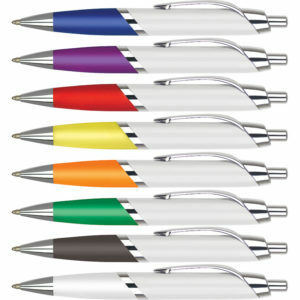 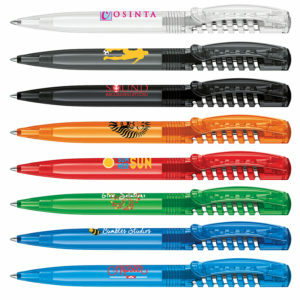 The gift is completed with a plain Curvy pen. 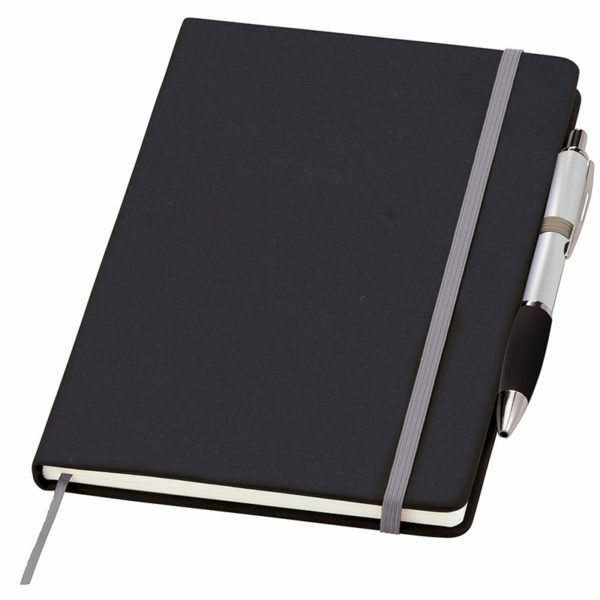 The notebooks contain 96 sheets of cream lined 70gsm paper.